The KHSAA Boys’ Sweet 16 wrapped up at Rupp Arena on Sunday. It’s a place where remarkable moments happen on and off the floor that people will not forget for the rest of their lives. For many families, taking a trip to the Sweet 16 every year is a sacred tradition. One person who never breaks that tradition is Darell Wells. This year’s Sweet 16 marked Wells’ 70th-straight year in the stands. The last ten years of the amazing streak, Wells has been unable to see the basketball games. Wells lost sight in his left eye in a school bus accident when he was eight years old. A decade ago glaucoma rendered him completely blind. Wells first attended the Sweet 16 at Memorial Collesium in 1950. That year Layfayette took home the coveted title. The following year he skipped school to sit in the balcony at Memorial Coliseum, starting a streak that would continue for the next 68 years. In 1952, Darell witnessed the most entertaining team he’s ever seen at the state tournament, the Cuba Cubs. A small high school in Graves County that closed in 1977, Wells had never seen anything like Cuba. After 1978 the tournament moved back and forth between Freedom Hall and Memorial Coliseum, and of course, despite the change in venue, Wells went every year. Naturally, the crew shrank in size. He eventually replaced his friends with his wife, Wanda. If it weren’t for Wanda, Darell would not have been able to be in Rupp for his favorite moment, one he could not even see. In 2013, Wells’ Favorite moment came when his alma mater, the Madison Central Indians, won the state title. Future Wildcat, Dominque Hawkins sparked a 16-point comeback in the championship game to help Madison Central win the 2013 state championship at the buzzer. Naturally, Hawkins became one of Well’s favorite Wildcats. Even though Darell never got to play in the Sweet 16 with Madison Central, being in the crowd to witness championship was the thrill of a lifetime. That’s one of the many reasons he’ll never miss a Sweet 16, even if he can’t see what’s happening on the court. This year, his daughter Denyce took him to the event where it’s still a family affair. He gets eight tickets to the tournament each year, and a whole new group of family members attends. Wells plans to experience more memorable moments in the future at Rupp Arena. Ladies and Gentleman, your 2019 Whitaker Bank KHSAA Boys’ Sweet Sixteen Champions are the Trinity Shamrocks. They beat Scott County in a fantastic State final 50-40. With the game tied at halftime, we were in store for a State championship classic. Trinity opened up the third quarter on a 7-0 run within the first two minutes, but their hot streak was short lived. After the 7-0 run, the Shamrocks went scoreless for the next eight minutes allowing Scott County to grab the momentum and jump out to a 33-29 lead in the fourth. After David Johnson hit a fadeaway to end Trinity’s cold spell, the Shamrocks turned this game on its head. Stan Turnier hit two three’s back to back to give Trinity a two-point lead, and from there Trinity took over. David Johnson would hit a three right after this, followed by a Stan Turnier and-one that gave Trinity an eight-point lead to put this one to bed. David Johnson was the man for Trinity. He pitched in a 22 point-12 rebound double-double and was five of seven from behind the arc, including this buzzer beater to tie the game at 22 to end the half. He also had this NASTY block. David Johnson was named MVP. It’s a shame to see him lose to Kentucky the next four years when he puts on the Louisville Cardinal uniform next year. After Trinity was able to hold Scott County’s Michael Moreno to zero points in the first quarter, and just four points in the second, Moreno ended up going for a 12-point 12 rebound double-double in his final game as a Scott County Cardinal. It’s official. The state title most people predicted will come to fruition tomorrow when Scott County takes on Trinity after the Cardinals beat Warren Central 70-52. This one was honestly over from the tip. Scott County got the first bucket 14 seconds into the game and never looked back, jumping out to a 17-point lead in the first half and never surrendering the lead to the Dragons. Scott County was backed by the big three of Michael Moreno, Glenn Covington, and Diablo Stewart who combined for 56 of Scott County’s 70 points. Moreno finished with a double-double raking in a whopping 25 points and ten boards. Covington went for eight rebounds. This game left Rupp Arena speechless. The Campbell County Camels fall short of upsetting Trinity after a miraculous comeback, losing 42-40. This game ended on a 50/50 call. Down by two with 4.3 seconds to go, the Camels inbounded the ball to their star senior, Reid Jolly for a chance to send it to overtime. Was it a foul? You be the judge. Here are two different angles. Trinity jumped out early in this one, holding a 20-5 lead at the start of the second quarter led by David Johnson who had 10 points and five rebounds in the first half. But, Campbell County refused to let the mismatch lead to a blowout, as they went on a 15-2 to close the first half. That momentum would carry over to the second half where the Camels would hold the Shamrocks to just five points in the third quarter that would give Campbell County a two-point lead headed to the final quarter. From there, it was back and forth the whole way. Trinity started the fourth on a 6-0 run to give them the lead for every possession except for one in the fourth quarter. The Camels kept the game within at least four points the rest of the way but fell just short. The Madisonville-North Hopkins Maroons got some airtime on ESPN last night and through the morning during the Top 10 plays segment on SportsCenter. Following a breakout weekend of 21 points, eight rebounds, and six blocks at Rupp Arena, followed by a 27-point, ten-rebound performance in the Elite Eight, Maroon star Kenny White came in at No. 2 in ESPN’s top plays. The highlight came on a nifty behind-the-back dribble followed by a tripping scoop shot at the basket. As KSR’s Brent Wainscott wrote on the site earlier, White was one of the biggest stars of the weekend. He broke down some of the Madisonville-North Hopkins’ star’s most impressive plays during his time at the Sweet 16 and which in-state college coach was there to see it all happen first-hand. The Maroons went home with a heartbreaking 62-66 loss to Warren Central, but you better believe White’s 48-point, 18-rebound, eight-block weekend boosted his recruiting stock. If you’re looking for the next High School basketball star from Kentucky, look no further than Kenny White from Madisonville-North Hopkins. In his short two-game stint at the Whitaker Bank KHSAA Boys’ Sweet 16, he was easily the star of the weekend. Against Lincoln County, White went for 21 points in the victory along with eight rebounds and six blocks. If you think that’s impressive, what the 6’7″ junior did against Warren Central was even better. In the first half ALONE, White nearly had a double-double with 19 points on eight of nine shooting and seven boards. He would ultimately finish with a 27 point-ten rebound double-double. He also hit two threes. Currently, White only has offers from Tennesee-Martin, Kent State, and Evansville. But, I can assure you that will change soon. EKU head coach A.W. Hamilton was in the crowd to watch the junior’s performance, and if I were a betting man, I’d say White will get a call from Hamilton soon. With another season to go, he will almost certainly get some calls from some Power five schools. Kenny White is definitely someone to keep an eye out for going forward. Check out some more of White’s highlights here. WHAT A SEQUENCE FOR THE MAROONS!! For most of the game, it was the Kenny White show in the final game of the Elite Eight in the KHSAA state tournament, but Warren Central completes the comeback winning 66-62. Warren Central was down 50-39 with a little over two minutes to go in the third quarter. With the way Kenny White was playing it looked like Madisonville was going to advance to the Final Four, but the Dragons went on a 9-0 run to end the third. Once the Dragons tied the game early in the fourth, they took over, outscoring the Maroons 18-12 in the fourth. Warren Central makes the comeback to beat Kenny White and the Madisonville Maroons 66-62. Warren Central was led by Dre Boyd who had 15 points and seven rebounds. Boyd also gave Warren Central their first lead in the 2nd half with this and-one. For the second straight night, the Dragons hit seven shots from behind the arc. For Madisonville, it is a bit disappointing that we won’t get to see Kenny White continue to ball out in the sweet 16. He ended his season with a 27 point-ten rebound double-double. Another night at the Whitaker Bank KHSAA Boys’ Basketball Sweet 16 is just another chance to make SportsCenter for Kenny White! Ksaun Casey also had a double-double for the Maroons with 16 points and 11 boards. After nearly being on the wrong side of one of the greatest comebacks ever, Scott County made sure to keep their lead at a distance, beating the Butler Bears 66-44. The game was back in forth until midway through the third quarter when Scott county went on a 15-3 run to go up 50-36 on Butler. They never looked back. Terrin Hamilton was clutch down the stretch for the Cardinals, as evident by this ferocious dunk and pretty turn around jumper. Bryce Long led the way in scoring for Scott County with 16 points. Michael Moreno finished with 10 points. Butler had a star as well in Trey Minter. Minter had 16 points, nine of them coming from behind the arc. Minter scored eight points in a Butler run to give the Bears their first lead of the game in the 2nd half. Unfortunately, his efforts weren’t enough in the losing effort. Ashland Paul-Blazer’s remarkable run at a state title has ended. The Cinderella team of the tournament, entering the Sweet 16 with a record of 17-16, ran into the powerhouse that is the Trinity Shamrocks. The mismatch was to the advantage of the Shamrocks as they blew past the Tomcats 60-30. 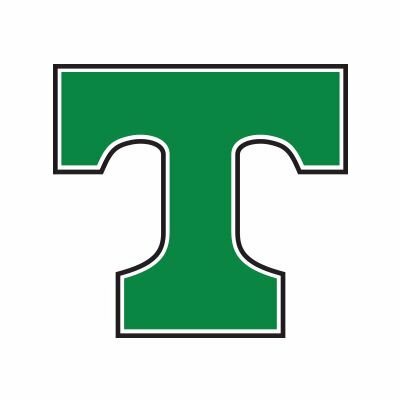 Trinity’s smothering defense and superior athleticism was the story, as they held Ashland under 10 points in every quarter. Ashland kept things somewhat interesting heading into halftime, only down by 13, but the mismatch was too much for the Tomcats as they were outscored 25-9 in the third quarter. It was a blowout from there and Trinity breezed to another victory in the Sweet 16. Stan Turner led the way in scoring for the Shamrocks with 16 points, followed by Kamari Kenemore who had 13, and David Johnson with 11. Trinity will be back at Rupp Arena tomorrow night at 7:30 p.m. when they take on the Fighting Camels of Campbell County in the first game of the Final Four. If you’re a fan of high school hoops or just basketball in general, you will want to be in the building for this matchup. Campbell County is a dangerous team and could very well pull off the upset tomorrow night. I will be bringing you coverage from the night session of the Elite Eight that will feature Scott County and Butler at 6:30 p.m. tonight. Madisonville and Warren Central will follow 30 minutes afterward. It has been a crazy first two days at the Whitaker Bank KHSAA Boys’ Sweet 16, and now the first round has officially come to a close with the Warren Central Dragons defeating the Mayfield Cardinals 73-55. Warren Central wins 73-55 over Mayfield. The game was tight with under two minutes to go in the third when Warren Central had a 44-42 lead; then they caught fire outscoring the Cardinals 29-13 the rest of the way including a 13-2 run to open the fourth to put this one to bed. This was Mayfield head coach Chris Guhy’s final game as head coach of the Cardinals as he announced his retirement before the Sweet 16. Dre Boyd was the star in this one for Warren Central as he had an 18 point ten rebound double-double along with five assists and a dunk to will the Dragons in their convincing victory. The Dragons had two others reach double figures as well. Tayshaun Bibb had 15 points, and Aiyontre Pillow finished with 13. Warren Central will be back on the floor tomorrow night for the 8:00 pm tip against Madisonville-North Hopkins. In the first round of the Sweet 16, we saw John Hardin get upset by a dangerous Campbell County team led by Reid Jolly, Covington Catholic almost complete one of the greatest comebacks in the history of sports when they went on an 18-0 run in a minute and seven seconds. We also saw Butler and Perry County Central go into Overtime in another Sweet 16 Classic, then finally Ashland Paul Blazer put the slipper on as they continue their amazing Cinderella run in the state tournament. Nick Roush and I will continue to bring you coverage from the Sweet 16, including every moment from the Elite Eight. Madisonville North Hopkins made their first appearance to the KHSAA Boys’ Sweet 16 for the first time since KSR’s Drew Franklin was a young lad at Madisonville, and their fans did not disappoint, bringing seemingly the whole city. The Maroons didn’t disappoint either as they advance to the Elite Eight beating Lincoln County 57-49. While this game was never in certain, Madisonville took in the 2nd half, not allowing the Patriots to hold the lead at all in that time. Lincoln County did cut the lead to three a few times in the 2nd half, however, but the big shot never seemed to fall for the Patriots, missing several threes to tie the game in the fourth. It was the Kenny White show for Madisonville as the 6’7 junior was all over the place with 21 points, eight boards, and six blocks. He was easily the main attraction on the court as you see below. Kenny White currently has offers Tennesee-Martin, Kent State, and Evansville. If I were a betting man, I’d say he’ll get a few more calls after his stint in the tournament. Madisonville’s big man Kshaun Casey chipped in a double-double in their winning efforts. He finished with 11 points and 12 rebounds. Lincoln County is a young group with an outstanding freshman point guard in Jaxon Smith. There is no doubt Lincoln County will be a big player in the 12th Region for the next few years. Don’t be surprised if we see Jaxon Smith’s name on the recruiting trail as well, he finished with 19 points and six assists. Madisonville will play the winner of Warren Central and Mayfield Friday at 8:00 pm. Covington Catholic was completely dominated by Scott County for 30 minutes, and the defending state champions still almost survived. The highly anticipated first round Sweet 16 matchup did not live up to expectations until the final two minutes. Down 19 points with 1:34 remaining, Cov Cath went on an 18-0 run in the final 1:11 to have a chance to win. Even though they did not keep their composure throughout that final stretch, Scott Coutny made the smart play when it mattered most. Following Grant Disken’s three-pointer, Cov Cath was slow to get back on defense. The Cardinals threw it deep to Lorenzo Williams, who hit a layup to give Scott County a three-point cushion. Cov Cath got one final look to tie the game, but Joey Mosier’s contested three went wide left. The comeback was too little, too late. Their struggles started in the first quarter. With a packed student at their backs, Cov Cath came out flat. Bothered by Scott County’s pressure, the Colonels only made one shot in the first quarter. Scott County’s 12-3 lead set the tone for the rest of the game. Even though they controlled the scoreboard, Scott County struggled with foul trouble. One of the Sweet 16’s brightest stars, Michael Moreno, picked up his fourth foul halfway through the third quarter. Cov Cath used the opportunity to make a quick run, one that would not last long. Glenn Covington banked in a three as time expired in the third quarter to give Scott County a 17-point lead. Scott County led by 20 for most of the fourth quarter before the Colonels made their miraculous run. Glenn Covington led the Cardinals in scoring with 15 points, while Michael Mayer, a four-star tight end committed to play football at Notre Dame, led the Colonels with 18 points. Scott County will play Butler tomorrow night at 6:30 in the Sweet 16 quarterfinals. Perry County Central had not one, but two late game three-point attempts go in and out to help Butler escape with a 65-62 come from behind win in the first round of the Sweet 16. The sixth region champs had a chance to win the game in regulation. With the game tied at 61 with 21 seconds remaining, Perry County Central forced a turnover at the top of the key. Needing a bucket with only 1.9 to play, PCC got the ball to their leading scorer, sharpshooter Noah Backs. His game-winning attempt looked good, but it was a half-inch too hard to give the Commodores a victory. Butler big man Cameron Underwood began overtime by scoring his 20th point of the game, a team-high for the Bears. On the defensive end, Underwood pressured Noah Caudill at the rim twice in the closing minutes of overtime. Caudill failed to capitalize on each attempt, but earned trips to the line. On the first trip, Perry County Central’s Caudill missed the front end of a one-and-one. On the ensuing possession, he made his first free throw to close the lead to one with 9 seconds to play. Perry County Central got the offensive rebound off his miss, but Jalyn Williams stepped out of bounds to give the ball back to Butler. After two Butler made free throws, the Commodores got one more good look, but the game-tying three-point attempt rimmed out. Perry County Central had the game in hand after an exceptional six minute stretch between the third and fourth quarters. The Commodores went on a 15-5 run during the stretch to build up a nine-point lead, a lead Butler erased with a 10-0 run over the final three minutes and a pair of drawn charges by Underwood. Each team played incredible, but unfortunately, somebody has to lose.